Every "Game of Thrones" Season 8 episode researched, explained and expanded upon in an hour or less: That's what we do. On The Throne isn't a recap show, It's a community-fueled rocket-ship of key information that worships the "Game of Thrones" fan. Discover each episode's overarching themes, unlock the mysteries of Westeros and join thousands of listeners who've followed us from our hit "Westworld", "American Gods", "True Detective" and "Taboo" podcasts. 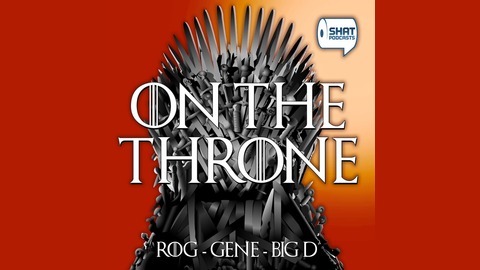 Leave a Review https://shatontv.com/game-of-thrones-review Subscribe & Social Media https://shatontv.com/subscribe-and-follow Website https://shatontv.com Email hosts@shatontv.com Theme Song Interloper by Kevin MacLeod. What's on viewers' minds after the powerful debut of Game of Thrones Season 8? Why Dany and Jon must die, why the dragon riding scene was important, Cersei's baby, over-reliance on Bran, and whether the Night King will skip Winterfell and go straight for King's Landing. Plus why is everyone letting Bran be a cryptic weirdo, why Dany is the only royal fit to rule, why Dany is unfit to rule, the timing of Sam's big talk with Jon, Smalljon Umber vs Ned Umber, and casual misogyny. 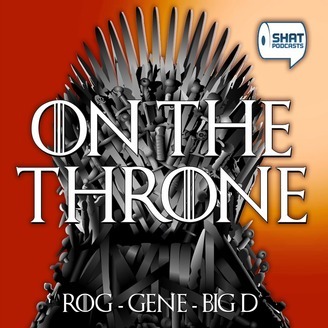 With more than 60 emails and voicemails submitted for this episode, it's a power-packed edition of On The Throne.